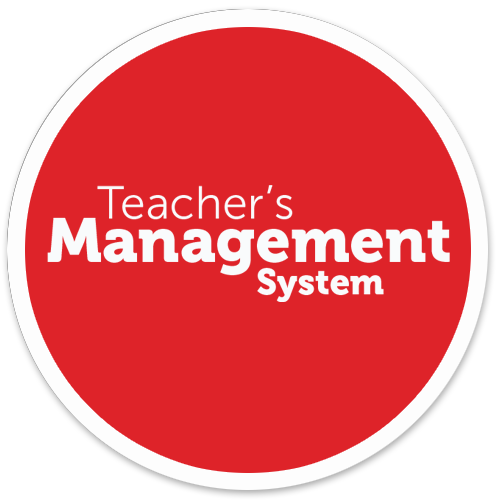 The Teacher's Management System is the essential digital tool for organizing teaching activities. It helps planning sessions, recording student's information and it generates performance reports with just a click. Reports in Word, Excel or PDF format. Reports in Word, Excel and PDF format. It is the core of the TMS as it allows recording the school, group, subject and student's information with a friendly user interface. The system does not requires an active Internet connection so the information is always available to help you better manage your classes and automate daily tasks. Teachers can configure the system according to their needs, registering multiple schools, grades and students; allowing them to manage all their activities from the same computer. The system facilitates the capture of attendance control lists by generating group lists with predetermined "Attended" status, that way the teacher only captures those students with "Not attended", "Delay" and "Permission" status. It allows the teacher to program evaluation parameters according to the study plans, these parameters can be assigned to the different subjects to facilitate the evaluation process. The teacher can capture the assessments per student and subject, both in numerical scale (5.0 to 10.0) or assigning customized scales. This information can be consulted later to generate reports by student or group. The tool facilitates the measuring performance indicators such as: Speed, Fluency and Understanding according to the official parameters of the current evaluation report. Strengthens written practice according to the grade level for the aspects of Gram-motor, Composition and Spelling. Have your student's information always at hand. It helps the teacher visualizing, in a simple way, different performance indicators by group and student in order to make decisions, reinforce positive behavior and correct deficiencies. Generate complete ready to print reports with just a click. The system has pre-established descriptions for the fields of Strengths, Opportunity Areas and General Recommendations. The teacher can select one from the list or add their own descriptions. It allows the teacher to generate a summary of the attendance for each student for the current bimester. It shows the averages per subject reached by the group, helping the teacher adjust the programmed activities and changing the working scheme in order to achieve the objectives of each subject. It is the result of the learning obtained by the students during the bimester. It has a personal file per student and per subject. It facilitates the measurement of reading indicators such as: Speed, Fluency and Understanding; as well as Gram-motor skills, Composition and Spelling for writing. Generates graphics, with a summary of the group by bimester, for the four indicators of achievement: Attendance, Participation in class, Performance and Reading comprehension. The TMS includes Argumentated Teaching Plans, for all grades, in fully editable and customizable Word format.. These planning, with 3 stages: start, development and closure, are enriched with evaluation, checklists, internal and external context. The Teacher's Management System is easy to use, safe and reliable, works on desktops and laptops and does not require an Internet connection.